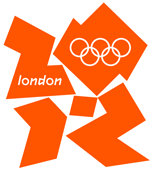 The London 2012 Olympic Committee logo. Released last week to critical acclaim (lighter on the ‘acclaim’, heavier on the ‘critical’), so far it’s been variously described as ‘a dodgy set of legwarmers‘, ‘a pink day-glo pig’s abortion of a logo‘ and ‘Lisa Simpson performing an obscene act‘. Doesn’t the blogosphere love a good furore? My personal theory is it will gradually break down and recombine into the Iron Maiden logo. I can’t prove anything yet, but I think we know who’ll be playing that opening ceremony. So, what do you think? Maybe you’re thinking to yourself ‘It’s rubbish,.. I could do better in 15 minutes!’ . Well, here is your chance to heap glory upon yourself and make a play for a tasty $800 prize while you’re at it. Training Camp, a London-based training company is currently holding a SitePoint Contest to find a better Olympic logo design, and they’ve backed it up with an impressive $800 prize. Impressive ‘money where your mouth is’ work from the Training Camp guys there. Their only major prerequisite is that ‘it should not look like you dropped a cheap, garish plate with the words “London” “2012” and “Olympics” written on it’. A reasonable request by most standards, I would think. Already there are some promising alternatives. View all the latest entries here, and if you’re creatively inclined, grab a pencil and get a’doodlin’. I’m really looking forward to following this over the next few weeks.